A great video about safe mercury amalgam filling removal technique. The amalgam filling removal sedation video details how a patient can have an amalgam filling removed safely using a dental dam barrier, high speed suction, saliva ejection, positive oxygen flow and masks so mercury vapors are not inhaled during the removal. We are one of very few dental offices that will perform safe amalgam filling removals using the IAOMT.org protocol with IV sedation dentistry. Most sedation dental office do not use the IAOMT dentist protocol for amalgam mercury filling removal. Amalgam / mercury filling removal by sedation dentist using IAOMT.org protocol. safe amalgam removal can be accomplished during sedation dentistry by a properly trained sedation dentist who is also trained in using the IAOMT safe amalgam removal protocol. Depending on what type of sedation dentistry is used, the amalgam removal technique may change to keep the patient protected from mercury exposure during amalgam removal and to adequately maintain the airway for breathing. It is possible to safely remove mercury fillings while sedating a dental patient using IV sedation dentistry, oral sedation dentistry or nitrous oxide sedation dentistry. 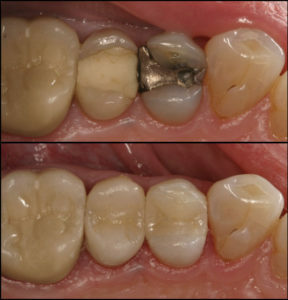 The sedation dentist Dr Gary Adams is trained to safely remove amalgam mercury fillings using the IAOMT.org protocol. When a patient has many amalgam fillings we believe it is best to sedate a patient with some form of dental sedation such as IV sedation, oral sedation or nitrous oxide sedation. It is especially important when the patient has several metal fillings including fillings on both sides of the mouth. During sedation, the patient is more relaxed and in a better state to heal from any infection or to detox any effects of the mercury in the metal fillings or other potential toxins in any of the dental materials to be removed. At Maryland Sedation we practice with a holistic philosophy. In cases where a patient needs many mercury fillings removed or the patient has systemic toxins already present, we do additional treatments such as vitamin C, glutathione among other things to assist in healing and detox. There are many sedation dentist oral surgery office in the Washington, DC area however there are very few dentists and dental offices where routine dentistry such as dental fillings and crowns can be performed using IV sedation dentistry and oral sedation dentistry.